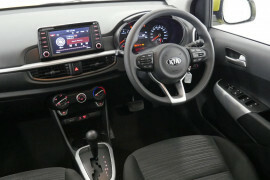 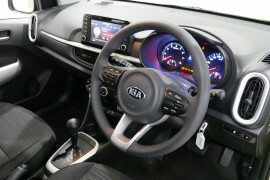 The New Kia Picanto is good to go with Bluetooth & iPod connectivity, Rear Parking Sensors and 7-Year Warranty as standard. 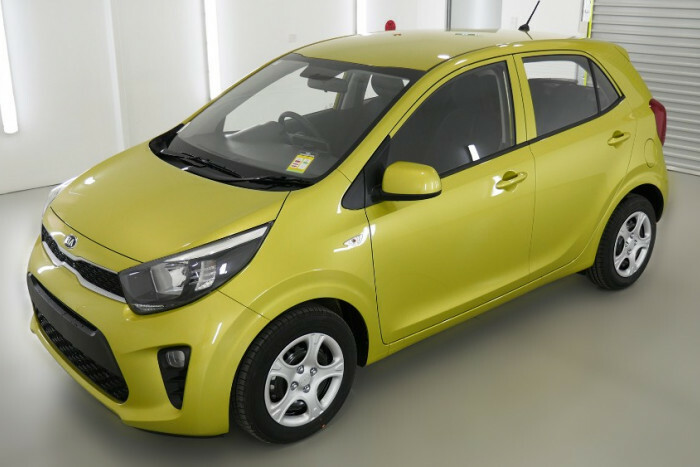 With one model grade to keep things simple, the New Picanto with Auto features everything you need including 5- star ANCAP safety. 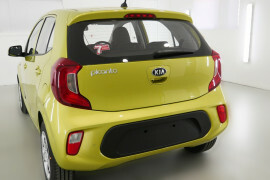 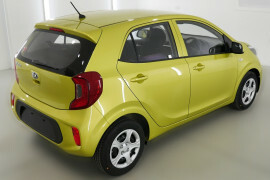 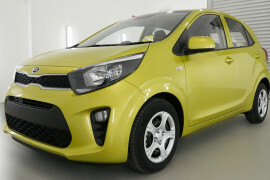 Penned by Kia’s European design centre in Germany, the New Picanto features plenty of style. Perfect for inner-city streets, its design has been tailored to tighter, smaller environments. 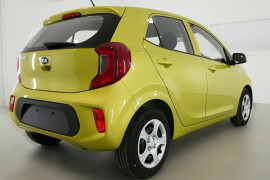 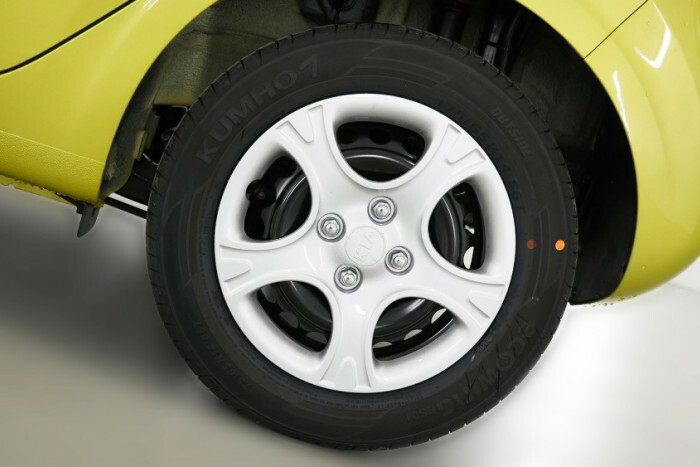 Compact bumpers specifically reduce its overall size, meaning you can navigate around the city with ease. You’ll find Kia’s design language across the New Picanto, including the chrome Tigernose grille surround – a trademark Kia design feature. 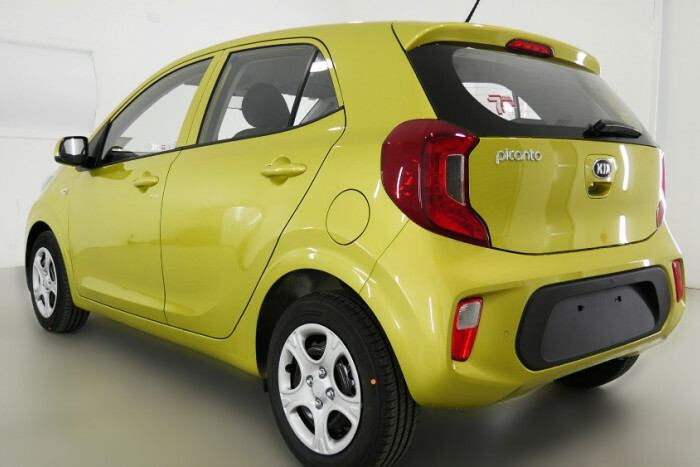 The New Picanto is both convenient and safe. 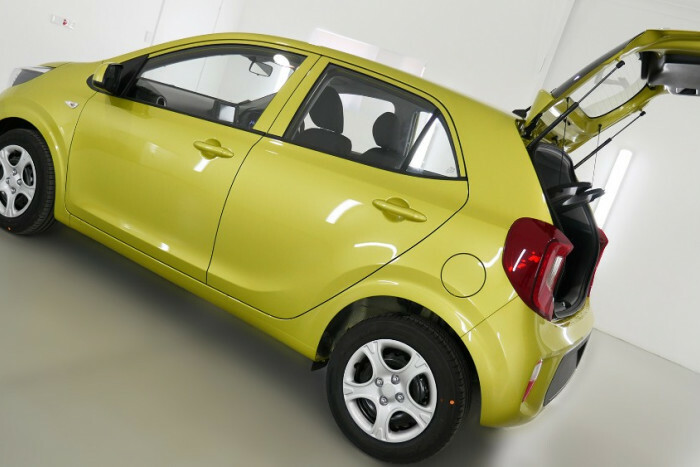 There’s a 5-star ANCAP rating for safety, 5-doors to make carrying passengers easy and Australia’s Best 7-year warranty with up to 7 years Roadside Assistance –providing a helping hand should the situation ever arise. 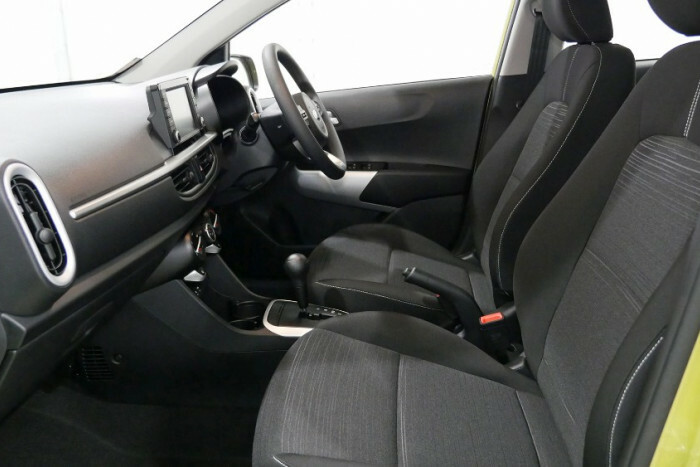 Inside the New Picanto, you’ll find a cabin filled with high-quality materials. 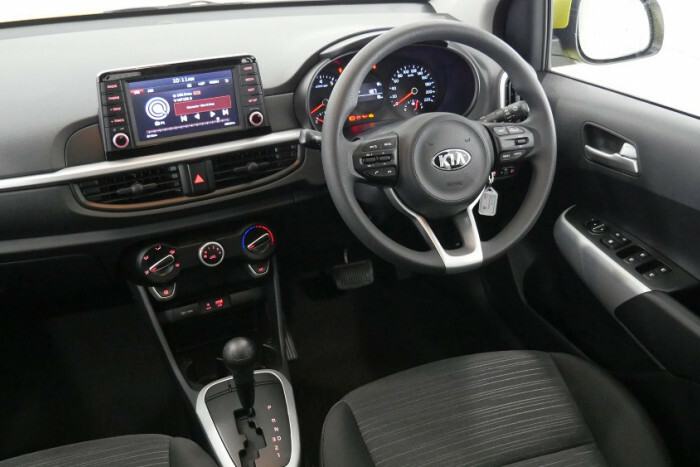 Satin-silver accents along the dashboard and steering wheel lend to the New Picanto’s stylish nature. 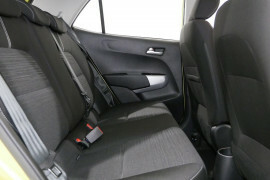 Black cloth trimmed seats offer support and comfort for longer drives. 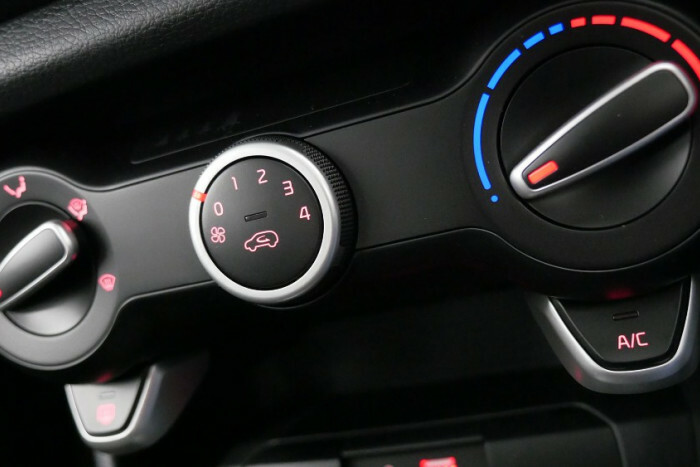 You’ll also find Bluetooth connectivity with fingertip steering wheel controls, USB and AUX inputs and a 4-speaker stereo system too. 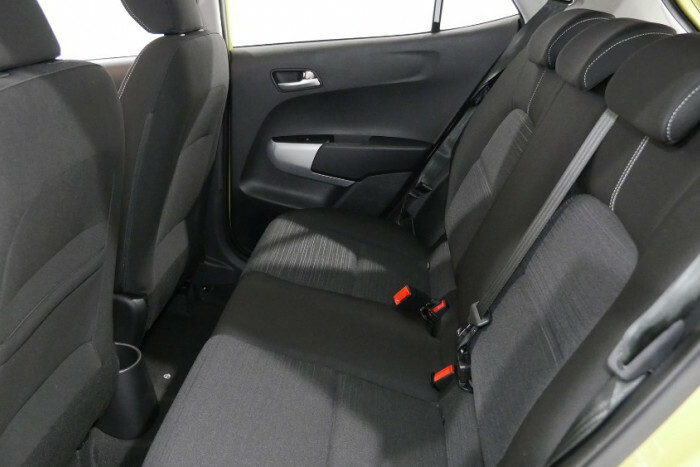 It also features a spacious second row with 60/40 split folding rear seats. The cabin does not sacrifice on space. 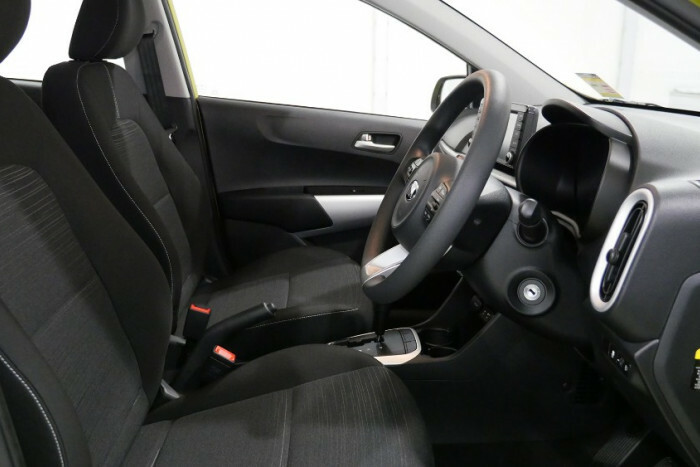 Convenient cup holders in the centre console can be folded away to enable a large carrying space near the USB and Aux ports. 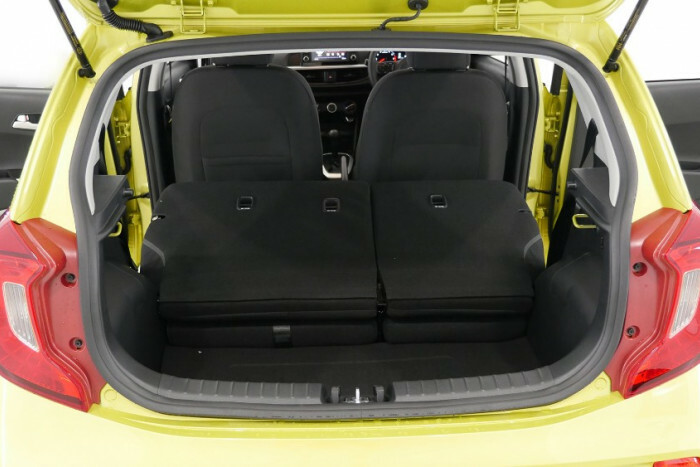 The rear seat bases cleverly fold upward that allows for a flat, large rear storage area to carry bigger loads. 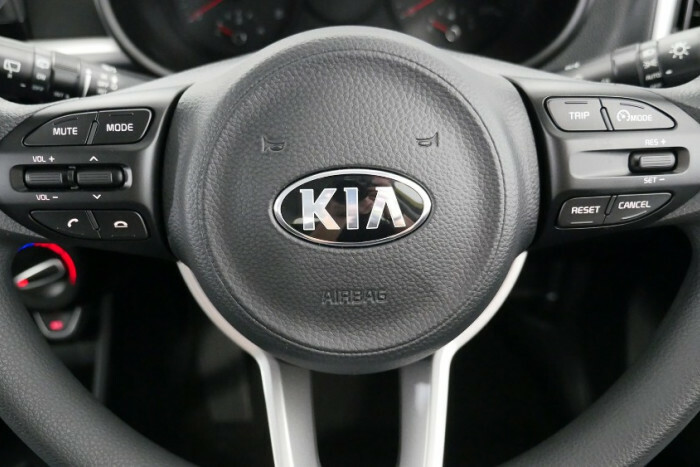 There’s bottle holders in the front doors, too. Every design aspect of the New Picanto’s cabin helps increase the feeling of spaciousness. 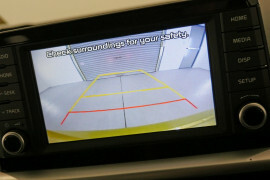 Standard rear parking sensors ensure safer and more convenient reversing. 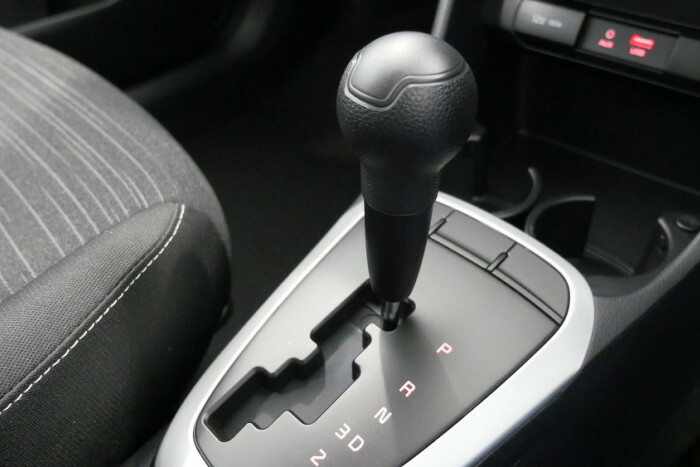 An Automatic transmission is available as standard. 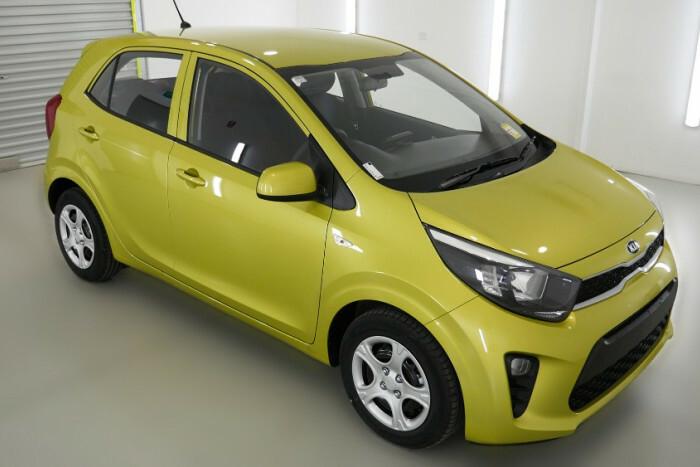 Bluetooth®Connectivity - Answer phone calls via fingertip steering wheel controls, or stream your favourite music through the New Picanto with Auto’s stereo. 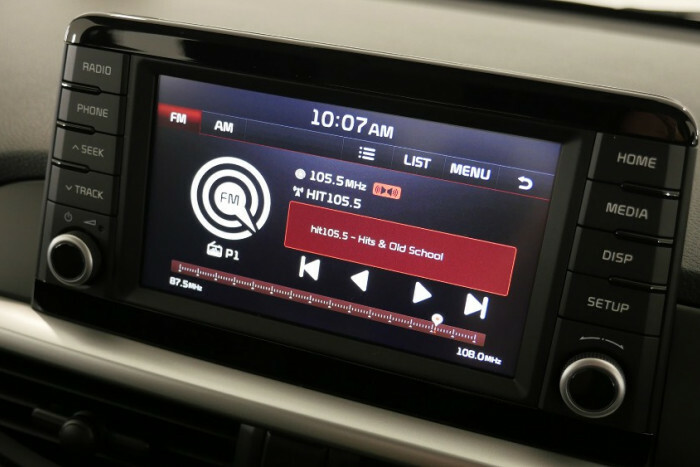 Charge your mobile phone or play music from an external device via USB and AUX inputs. 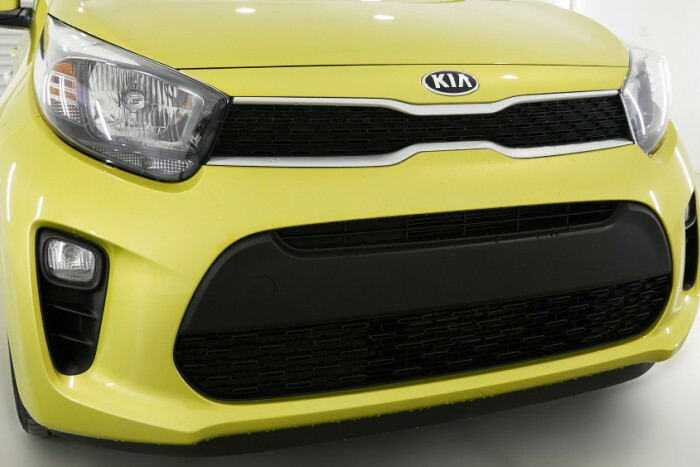 Daytime Running Lights ensure visibility on the road is increased during low light and dusk scenarios. 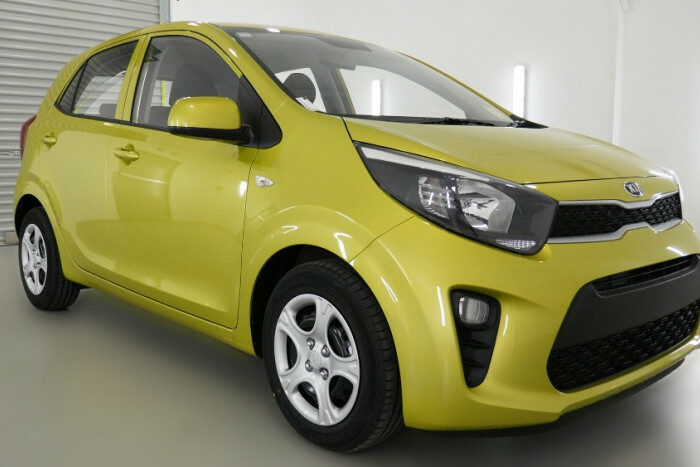 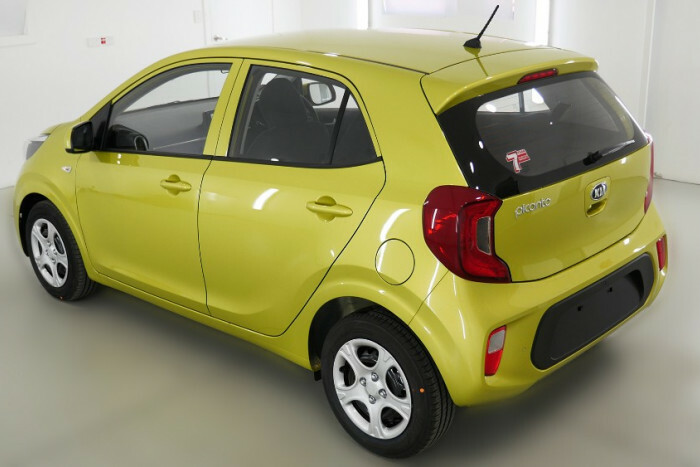 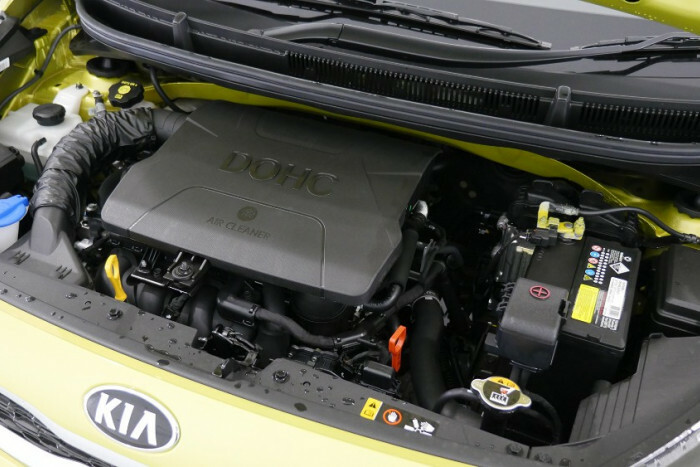 I'm interested in a New 2019 Kia Picanto S (stock #K476693).